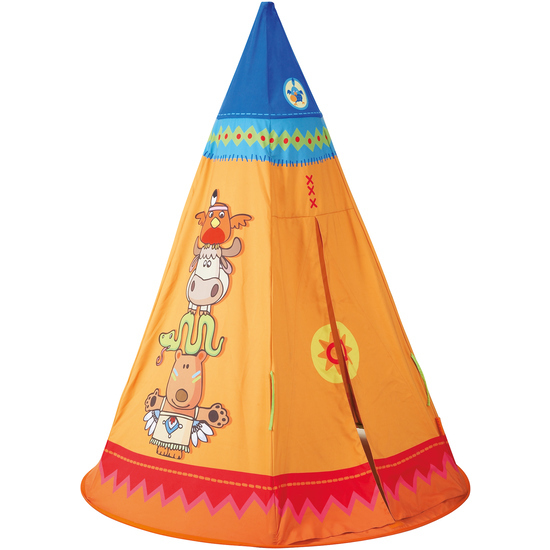 This tepee offers the nicest shelter in the whole village! It is perfect for all the young children. who want to live exciting adventures and then take a rest from time to time. The tent can be folded down completely.